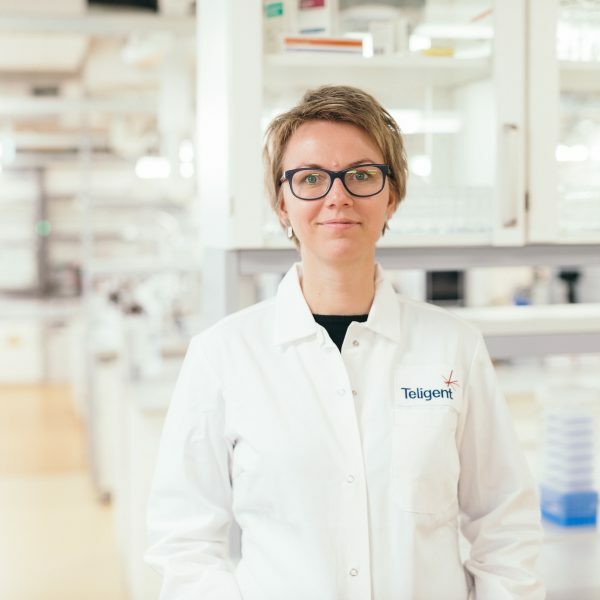 SYNLAB Estonia, Estonia’s largest privately held medical laboratory with more than 20 years of experience, has a foothold in several foreign countries and is working on entering the Swedish, Norwegian, and Latvian markets. In terms of volume, SYNLAB medical laboratory is the biggest in Estonia and belongs to the largest laboratory chain in Europe. The company’s core business is offering laboratory services to family physicians and medical specialists, hospitals, occupational health centres, and other institutions related to the medical sector. Laboratory services include specimen collection and transport, performance of laboratory analysis, result validation and forwarding to service subscribers, laboratory specialists’ consultations if necessary, informing customers to improve their work organisation, and the introduction of innovations. Private patients are now served as well, offering them health check packages and laboratory physician consultations. SYNLAB Estonia also has a nationwide logistics service and comprehensive IT services for family physicians, medical specialists, and private patients, who can order tests through the portal and view results there as well. Laboratory physicians have written general comments for different analyses in the patient portal, helping ordinary people navigate them. SYNLAB Estonia has grown out of two Estonian capital-based start-up companies – Quattromed and HTI. HTI started its activities in 1994, providing laboratory services primarily for family physicians. Quattromed grew as a spin-off resulting from a development project at the University of Tartu, when professor Mart Ustav along with three of his co-workers created a basis for diagnosing sexually transmitted diseases and started offering it primarily to gynaecologists. With a clear customer focus in Tartu and Tallinn, the companies merged in 2005 and they managed to bind two complementary markets well. As an indication, BaltCap, one of the largest investment funds in the Baltic States, decided to acquire a majority stake in the company in 2008. “After that, in 2008-2013, firstly in the Estonian market, an expansive development took place, when we started building satellite laboratories across the country,” says Aamisepp. Then the export markets began to be of interest. Lithuania was the first, where in 2011, a small laboratory was bought. 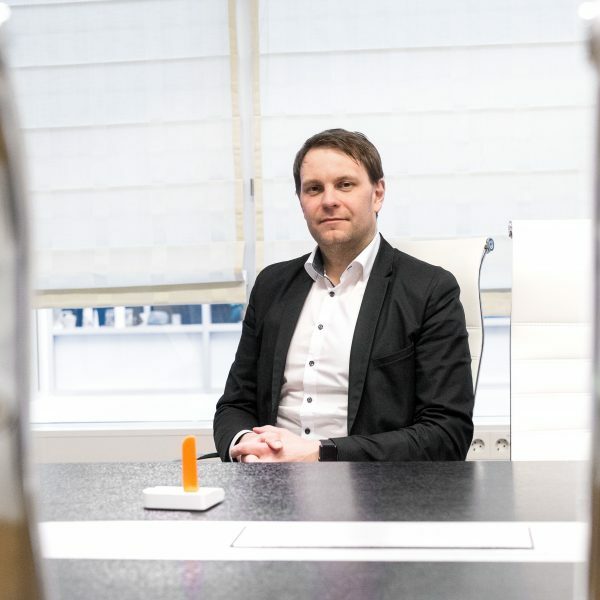 In 2013, the company entered the Finnish market with big plans. 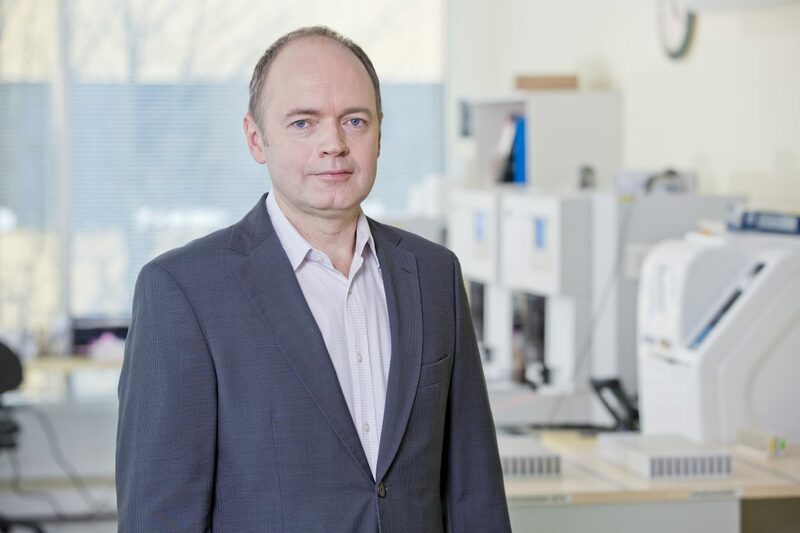 It all lead to the 2013 acquisition by Europe’s largest laboratory chain, SYNLAB, and today the firm operates in the SYNLAB group as a fully fledged separate cluster, which includes the Baltic States and the Nordic countries. This is run from Estonia. SYNLAB Estonia’s team is composed of professionals in different fields: laboratory physicians, laboratory specialists, bioanalysts, IT, marketing and logistics personnel, and customer service representatives. There are 180 full-time employees currently in Estonia. Until a few years back SYNLAB Estonia offered services only to health care providers but in the past two years, the firm has targeted private patients as an additional market. Via the patient portal minu.synlab.ee and on site at laboratories, patients are offered different health check packages put together by physicians, individual analyses, medical specialist consultations, and an opportunity to test for STDs at home though testikodus.ee. The most popular is the general health risk package, which is mostly ordered by people who do not have direct health problems but want to get a thorough overview of their health. Men order athlete’s health packages more. There are vitamins, vegetarians, liver, allergy, and Lyme disease packages as well. Aamisepp notes that more and more companies are contacting SYNLAB Estonia to order health checks for their employees. If until now SYNLAB Estonia has focused on offering laboratory studies for people, the company is currently reviewing the opportunity to carry out laboratory tests for veterinary and environmental studies. Aamisepp says that entering new markets is very difficult because the Nordic countries have very high market penetration barriers. Last year, exports accounted for about 30% of SYNLAB Estonia’s sales turnover and that share is growing. Already next year, the export share of the sales turnover will be about 50% if not more. The increase comes from new customers and new markets in the countries where the company is already active. This summer, the company’s Estonian main laboratory and blood sampling resource will move to a new location – Veerenni Health Centre – which will be the most modern laboratory in the entire region. This is not only in terms of analysers and testing but the entire infrastructure, meaning how the logistics and IT solutions work, and what the capability of offering all this to different countries is. 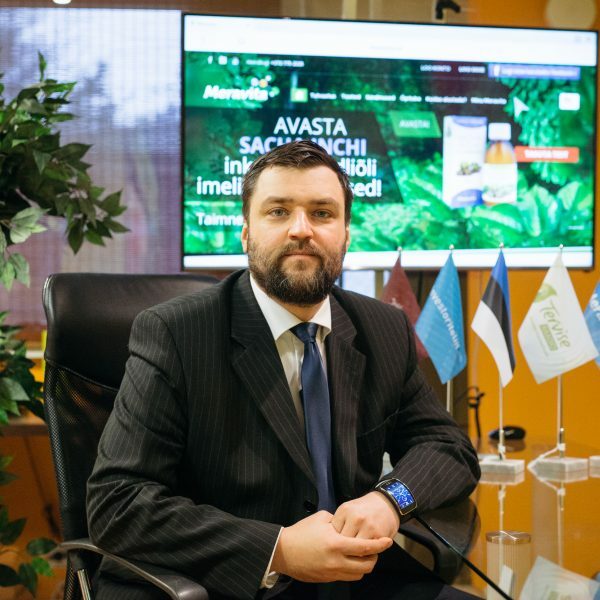 Aamisepp says that the company has found some partners in the Connected Health cluster, that have contributed to the development of solutions such as in the field of IT. He adds that SYNLAB Estonia for its part will definitely try to support the emergence of cluster projects.